Football mania has been filling our flat for the past two weeks. We’ve had friends round to watch games, visits to friend’s houses and some of global cuisine. Chile are through to the next round with still one more game to play. There seems to be a lot of Chilean flags featuring in my camera roll from the last two weeks. I tried my hand at a bit of nail art too! Then of course it was any excuse to make completos which I shared with you a while ago here. These were the ingredients for six of us to eat completos during the game. I actually don’t own any English flags! (But here is one I spotted as part of a window display at the local supermarket) But during the game this week we tucked into fish n chips for the occasion. 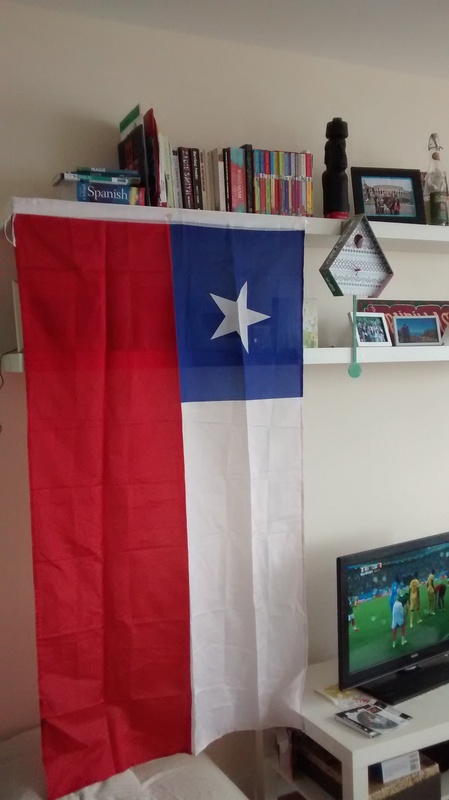 Only to see them leave the competition so now all there is to say is…VAMOS CHILE! How are you celebrating the world cup? p.s This is our 100th post!! Clem is working on our special 100th post ‘celebration’ at the moment, it will be coming soon! LOVING YOUR BLOG! 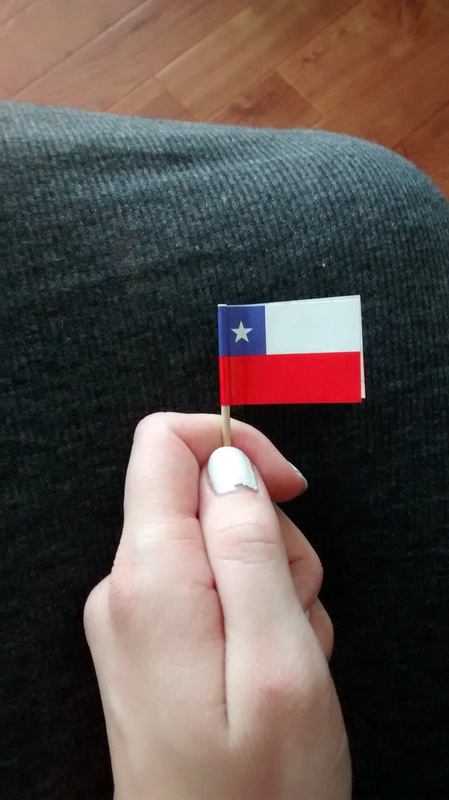 Reading about Chile is very rare and I’m so happy you guys wrote on my blog so I could discover yours! We also made completos for one of the game – still shattered at the fact that we lost against Brazil!